These conditions might result from genetics, immune function, environmental pollutants or dry air from indoor heating and cooling. In some cases, a dull coat and unhealthy skin can mean a nutrition deficiency. Make sure your cat gets the right vitamins and nutrients for soft fur and healthy skin. Essential fatty acids help prevent dull fur, dry skin and unkempt appearances. Vegetable oils (e.g., soybean oil) and animal fats (e.g., chicken fat and fish oil) are good sources of fatty acids. Linoleic acid, an important omega-6 fatty acid, helps increase the softness of cats’ fur and provides a barrier to lock in skin moisture. Zinc is another fundamental element involved in healthy skin and fur. Zinc helps increase skin hydration and cell replication. Meat and whole grain cereals are rich, natural sources of zinc. It also exists in mineral salts, such as zinc sulfate and zinc oxide. 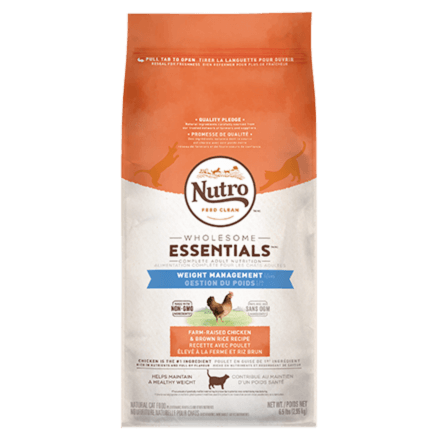 Along with other key ingredients, NUTRO™ Cat Food is rich in natural oils for soft, shiny fur.